It all starts with your Quality Manual and qmsWrapper. 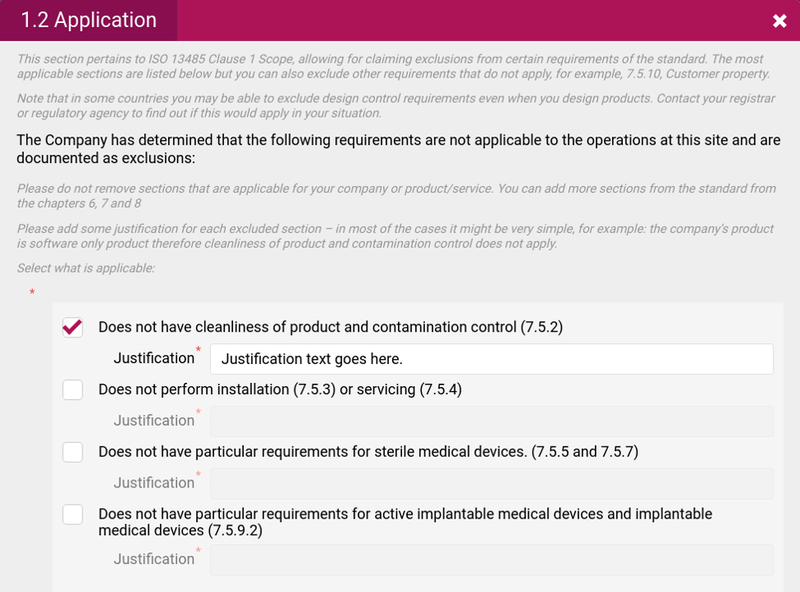 If you are developing medical device, know that MedTec is high-regulated industry, and the FDA and EMA (European Medicine Agency) take compliance very seriously. Whether you’re aiming for CE mark or FDA 510(k) clearance, a Quality Manual is required. But where to start? Start with qmsWrapper, it includes an Interactive Quality Manual Creator Tool that helps you create your company’s Quality Manual, that is fully integrated with your QMS processes or workflows, all in accordance with ISO 13485:2016 and U.S.QSR (21CFR 820). 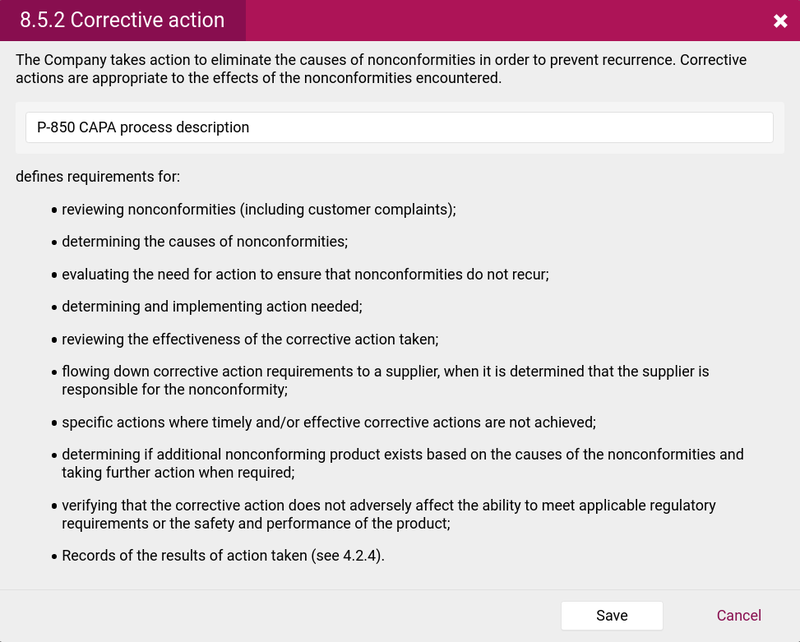 As a bonus, qmsWrapper includes a GAP Report Tool to help you reveal any “holes” between “what you currently do”, and “what the Compliance Standards and your Quality Manual are expecting”, to help you identify missing reports, incomplete processes - before the ISO auditors do! Get on track with your ISO and FDA compliance and focus on getting your product to market. 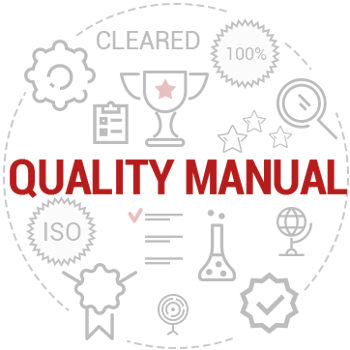 Various ISO standards and FDA QSR’s require that you have a Quality Manual. A QMS Manual is essential not only for your own team, but also because both your suppliers and your customers use it as the basic measure to determine and evaluate if your company meets your quality commitment. …. It’s not an easy task to keep your Quality Manual current and up to date, it’s not just challenging but time-consuming, qmsWrapper Quality Manual Creator can simplify this process. Here’s the critical element - the Quality Manual drives the GAP Report. The Gap Report will identify the differences between what you are currently doing and what the Standard is expecting. “The GAP” is what you are missing, have not started or not completed! 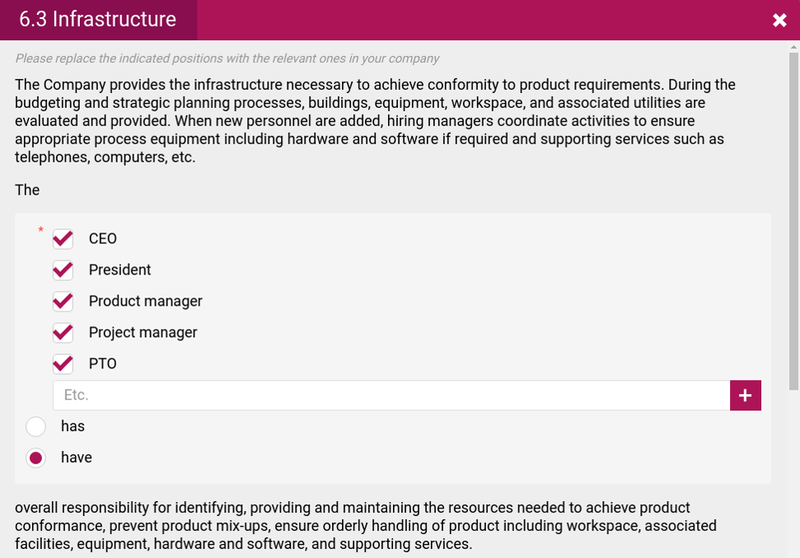 The Gap will show you what processes you are using and which ones you are not using – based on what is appropriate for your product’s characteristics, the structure and size of your company and your main activities. 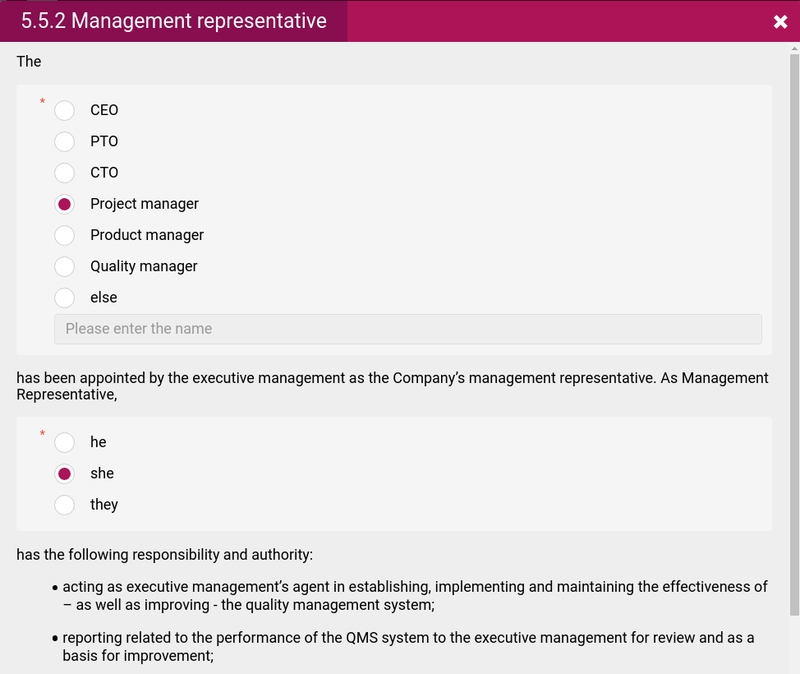 Use qmsWrapper GAP Report tool to identify missing reports, incomplete processes - before the ISO auditors do! The GAP Report additionally serves as a template to help implement the QMS system in the company, in a logical and structured manner. 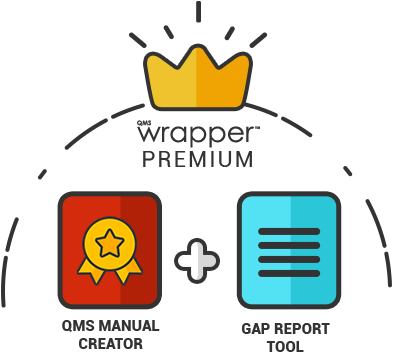 qmsWrapper is unique in that the Quality Manual Creator and the GAP Report tool are an integral part of qmsWrapper. 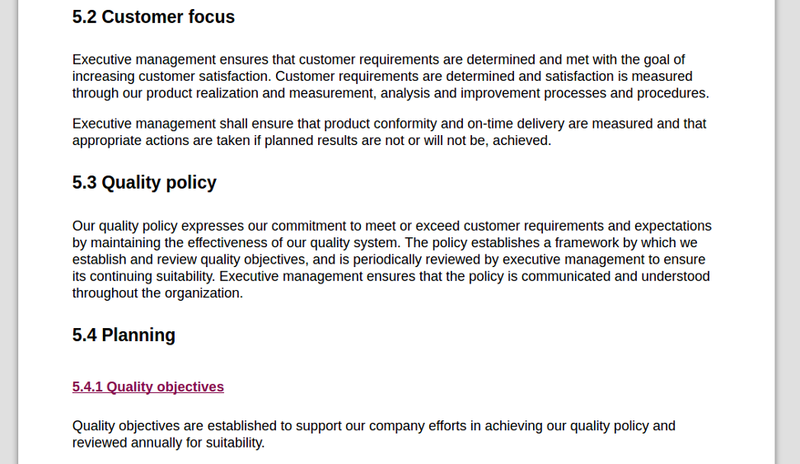 The Quality Manual is not only included, but defined by the policies and processes you select in qmsWrapper. This greatly simplifies the process of creating, and maintaining a Quality Manual. 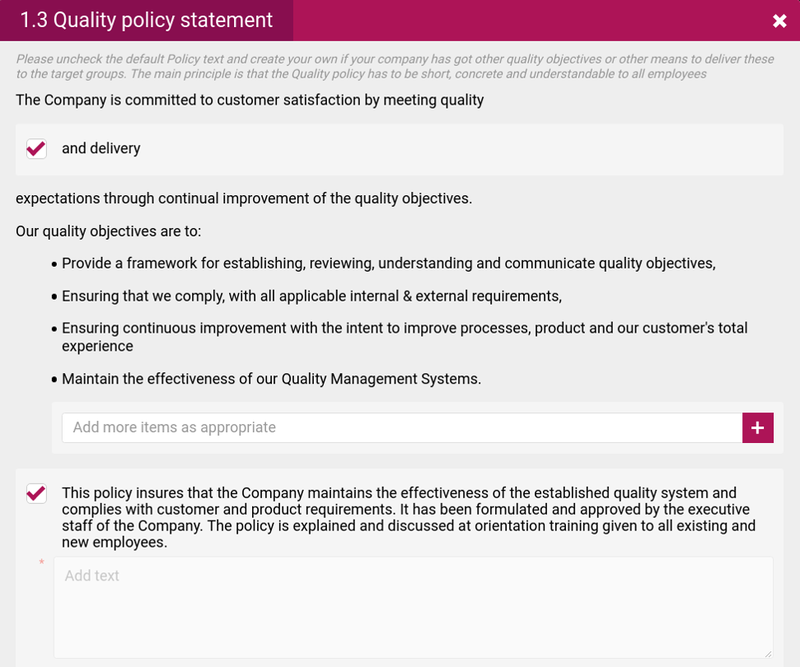 Demonstrate your company’s commitment to Quality and prove your compliance with qmsWrapper! When you subscribe for qmsWrapper you can choose optional add-ons, like the QMS Manual and the GAP Analysis Module (checklist). Not only does this represent a huge saving in costs, they can be very pricy to buy directly, the real cost however is in time – yours and your teams. 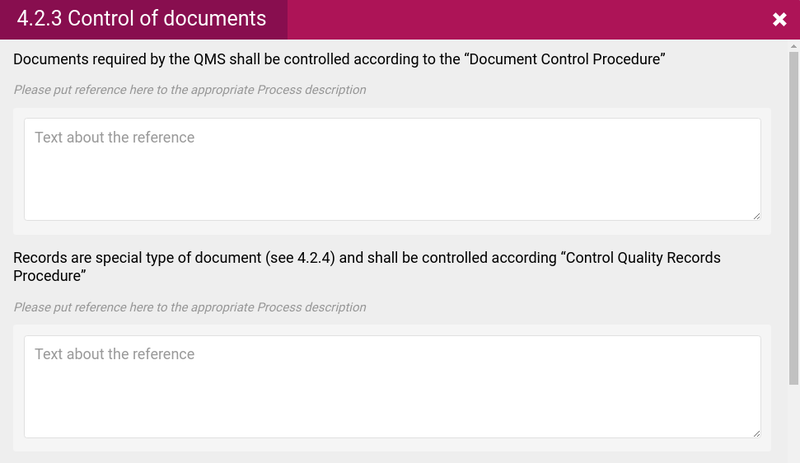 What you document in the Quality Manual is reflected in qmsWrapper, in particular through the Quality Workflow processes. 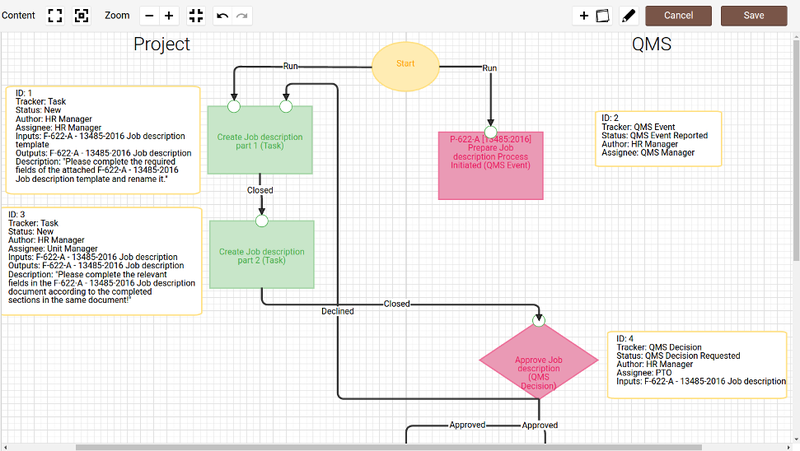 So, what’s in the manual is executed in the QMS Workflow processes. 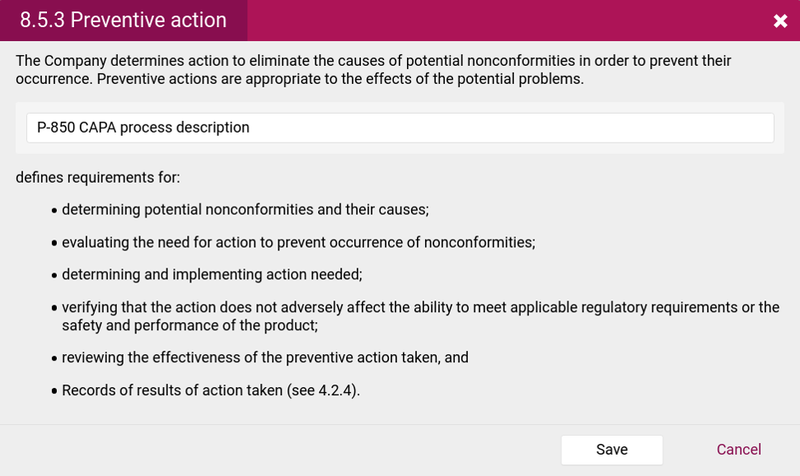 qmsWrapper not only saves time and effort, but gives you a clear overall insight into your quality management system, so you can concentrate on compliance and make quality a priority.